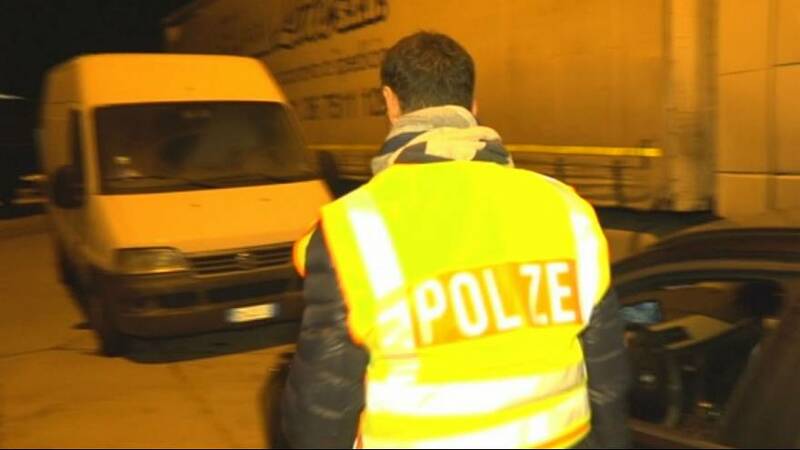 Germany’s southern border has become a frontline in the battle against human traffickers. The country is the preferred destination of most of those fleeing war and destitution in Syria, Iraq and other countries. So desperate are they to find refuge in Germany they are willing to pay thousands of euros and risk their lives to get there. We've had other situations where we had to call in the emergency medical unit: we opened the doors and unconscious people fell out, just fell onto the ground. The surge in migrants has given rise to a lucrative and rapidly growing trade in people smuggling, with organised crime gangs pulling the strings. German authorities estimate there are some 30,000 traffickers operating across the continent. Migrants are usually packed into lorries and vans, enduring extreme discomfort and hardship on their journey. The conditions can sometimes be deadly, as the recent case in Austria grimly illustrates. In a bid to smash the smuggling rings, Germany has set up special police units along the border. The force, which will eventually number around 3,000 officers is highly- trained, well-resourced and determined. In this edition of Reporter Hans Von Der Brelie joined one senior officer and his colleagues on their patrols along the German-Austrian border. Click on the video above to watch his report.